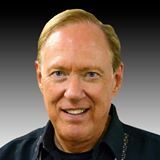 Those of you who have read my spiritual memoir, Ever-Flowing Streams: Christ, Reiki, Reincarnation and Me, know that my health and world view changed dramatically after a Reiki therapist revealed a past life bond casting a long shadow across my present life. Though I wasn’t seeking past life therapy, it found me in a round about way, and it made all the difference. Emerging avenues of past life therapy are now available through the pioneering work of Dr. Brian Weiss (Many Masters, Many Lives), Dr. Michael Newton (Destiny of Souls), Dolores Cannon (QHHT), Dr. Jim Tucker (Return to Life: Extraordinary Cases of Children Who Remember Past Lives) and the practitioners who have followed in their footsteps. In a more esoteric realm, channeled messages through Lee Carroll by the collective entities known as Kryon often teach about the past lives and the Akashic Records. Kryon encourages listeners to “mine their Akash” to discover a wealth of talents and knowledge acquired through the centuries of multiple life experiences. I’ve not only become a Reiki practitioner myself, but also seek information from my own Akashic history. In my book, Supernal Adventures, a chapter is devoted to past life therapy and some of my experiences, including the one previously posted here as A Personal Past Life Regression. Meditation, healing prayer, and distance healing are all part of my daily routine, but Akashic Record exploration, I reserve for Sunday mornings. It’s time for me and my spiritual guide “team” to spend extra moments delving into current situations and age old questions like, why am I here? Using the method taught by Ernest Ortiz (see post Unravel Mysteries with Akashic Records Reading), I’ve had hit-and-miss success connecting with past life images. More often I’ve received advice and guidance and, occasionally, poetry. Going back and reading the messages is startling, because I barely remember what I’ve written. Recently, I browsed YouTube and found guided past life meditations there. Last Sunday I plugged in my ear phones, got comfortable on the couch, and hit play for a 45 minute trip to another life. I set an intention ~ please show me a connection to the healing and care giving interest I have today. The audio was uploaded by Blue Sky Hypnosis.com and facilitated by Peter McLaughlin, CHT. Mr. McLaughlin is very professional and smoothly takes the listener “deeper and deeper.” By the time I had mentally walked down the stairs, through the meadow, over a footbridge and into a marble building, I was extremely focused. The listener is ultimately led to a hallway with many doors, each the entrance to a different life. Pick a door. Is the door wooden? Metal? Old? New? Today’s door looked like a hospital hall door, metal with a small window. I pushed through. The first instructions are to “look down at your feet.” (Interestingly, my previous spontaneous past life memories began seeing my feet and hands and thinking those aren’t mine.) In this session, I saw stiff Oxford shoes and legs covered in woolen stockings walking down a polished hardwood floor. The facilitator asks detailed questions to bring the picture into focus. My identity emerged as a nurse in a private home in England in 1908. I was the care giver for a frail, but lively spirited elderly woman. The house was not large, but furnished well, with many oil paintings on the walls. The woman and I shared poignant days that we knew would be her last. It was a cocoon of time. Go to an evening meal. Where are you? Who is with you? In this case I was sitting alone in my room eating soup with a piece of hearty bread. Go to the happiest moment of that life. What is happening? I caught a brief glimpse of being a child at a happy family outside gathering. Everyone was seated around a big table, having a merry time. Go to the most significant event of this lifetime. What’s happening? What do you see? I was on a cold, grey beach. Other people were scattered up the shore. We were all fully dressed. Debris and bodies were washing up on the shore from a passenger ship that had sunk during a rough storm. I stood there wondering what exactly I should do, feeling helpless and overwhelmed by the horrifying loss of life. What did I take away from that life time? My innate healing talents today were nurtured in that life experience as a nurse. My distrust of doctors also grew as I observed questionable treatments and arrogant attitudes. I learned to follow my healing instincts and developed a common sense approach to wellness. My ability to calmly sit with the ill and dying has a foundation in that experience. While the YouTube experience is enlightening, it doesn’t take the place of a full therapy session with a qualified therapist. That may take several hours to explore the nuances of visited lifetimes and discover the roots of issues affecting the present lifetime. Still, for the curiosity seeker, it can be an introduction to discovering a wealth of self-discovery just waiting to be explored. In 2005 my friend, Paula, experienced a “miracle” healing of an “incurable” disease, RSD (Reflex Sympathetic Dystrophy Syndrome), through a Reiki therapist. RSD is an excruciating condition. It generally begins after an injury. The nervous system keeps sending the pain signals. First noted in the Civil War, surgeons performed amputations in an attempt to halt the pain. The result was “ghost pain.” Though the limbs were gone, the soldiers still felt the throbbing, unrelenting agony. A fall on a stairway began a seven year descent into misery and disability for Paula. She was ultimately on 29 medications and had two battery devices installed into her back with lead wires attached to her spine to offer pain control. Her entire right side was involved. She often used a cane and occasionally a wheelchair. She became part of a control group of an RSD specialist at UCLA. In the summer of 2005 the doctor told her they were out of options and to prepare herself for a life confined to a wheelchair and ultimately a bed. She was 50 years old. Given that grim future outlook, she and her sister, Sue, took my suggestion to visit me and schedule appointments with the wonderful Reiki therapist, Helen, I had recently met. At the very least, it would be a fun vacation for them. Much to our amazement, after three Reiki sessions, Paula no longer suffered from RSD. Her healing opened up a whole new world for us. Paula, Sue, and I began exploring energy healing, quantum physics, alternative medicine, and meditation. Our weekly meditation sessions took on a mystical life of their own. We began calling ourselves the Supernal Friends. Being a writer and observer, I took notes of what happened in our sessions. Over the course of time, I filled pages and pages of what I called the Supernal Journals. Now, a decade later, I’ve used those journals as the basis for my new book, Supernal Adventures: Exploring the New Normal of Multidimensional Living. Join the Supernal Friends on their many adventures. You may discover the new normal of multidimensional living for yourself! My Kryon education continues. Since I moved to Hawaii in February, I’ve had a lot of me time. As synchronicity would have it, I discovered the wealth of Kryon free audios at Kryon.com. Kryon is a nonphysical angelic teacher who has been channeling through Lee Carroll for over twenty-five years. As I’ve walked the Manoa Valley streets or sat on my lanai gazing at the rainforest hills, Kryon has been my otherworldly companion, thanks to the magic of iPhones. Grasping the messages of cosmic creation, physics, human development, spirituality and beyond is fascinating and challenging. Over the years, Carroll has written 13 books compiling the messages into cohesive order to help us mere humans make sense out of it all. 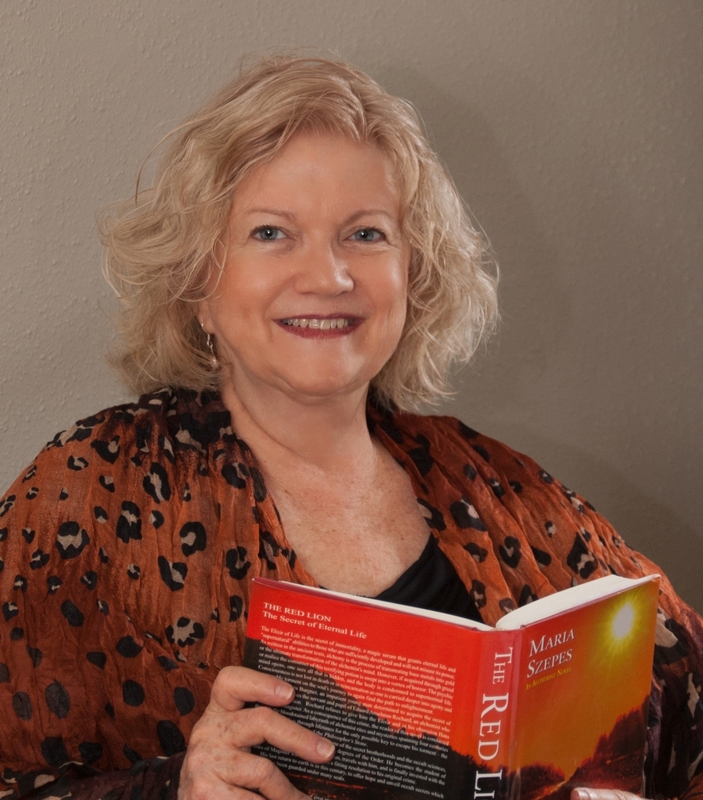 Now, with Carroll’s blessing and Kryon’s collaboration, Australian author Monika Muranyi has researched the Kryon messages and woven two books together, The Gaia Effect and The Human Akash. This book is making me look at earth and nature in a whole new light. Gaia is the term for a spiritual intelligence of the planet earth. Kryon paints a picture of the earth as part of the cosmos, connected by other galactic intelligence. Our sense of history is minuscule compared to the viewpoint of an ageless nonphysical being. He speaks of a sacred design of the earth and its human inhabitants, nurtured by spiritual forces. He invites us to rediscover the wisdom of indigenous people who sensed the intelligence embedded in the natural world. Several civilizations have risen and fallen over the course of time beyond any modern comprehension. With the dawn of the nuclear age, humans came close to obliterating our current civilization. Kryon’s hopeful message is that we passed a major marker in 2012. We did not destroy ourselves. We are awakening into the New Age. Gaia is shifting and changing with us. If you’re ready to have your paradigms shifted and everything you considered “truth” challenged, pick up a copy of The Gaia Effect and read about the world according to Kryon. The Akashic Records have gained attention in recent years. Coming from the Sanskrit, Akash or Akasha refers to space and the essence of all things in the material world. Edgar Cayce referred to the Akashic Records in his health readings in the first half of the 20th century, sparking interest in metaphysical thinkers. Akashic Records readers have sprung up, many trained on the teachings of Ernesto Ortiz, Linda Howe, and the leaders of the Akashic Records Consultants International (ARCI). Everyone supposedly has an Akashic Record including every lifetime lived on the planet and perhaps beyond. But where are these records? What exactly is the Akashic Field? Monika Muryani combed through the voluminous collection of Kryon messages, ferreting out references to the Akash. What light can Kryon shed on the mysterious subject? Indeed, Kryon provides detailed information defining the whole Akashic system that involves the earth and everyone who has ever dwelled here. In The Human Akash you’ll read about the Cave of Creation, the Crystalline Grid and many fantastical new concepts. The core idea is the notion that our DNA stores Akashic information, hence the subtitle referring to the “Blue Print Within.” Much of “junk” DNA is tied to our Akash, plus we each have energetic DNA entangled in our energy body that can’t be seen by the human eye under a microscope. The Akashic Field entangles individuals, the earth, and the cosmos together. Much of what makes us unique is DNA Akashic information from countless lifetimes. Kryon talks a lot about “mining your Akash,” finding all the talents and strengths from previous incarnations to enhance the current one. That’s an intriguing idea. The Akashic DNA also explains the extraordinary children being born on the planet. As we enter the new cosmos age, the DNA is changing. Children will “remember” more of their past lives and tap into talents. They will develop and learn faster partly because they will access their Akashic information in an unprecedented manner. The Human Akash will challenge your understanding of how the world works. Ultimately, Kryon is an encourager. He knows “old souls” have been through a lot of struggle. They have their doubts that humankind will ever quit repeating a pattern of war and global destruction. Kryon says we’re on a new path, creating a better world than we can even imagine. I hope he is right. At any rate, the books and audio messages are food for thought..and hope for the future. Lois J. Wetzel is a mystic and visionary thinker. She is able to communicate with the Guardians of the Akashic Records and offers clients life-readings to help them in their present lives. 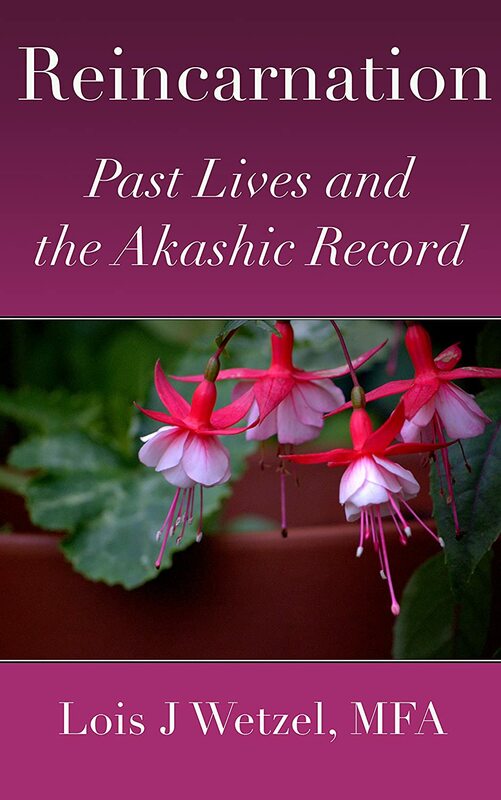 Her latest book, Reincarnation: Past Lives and the Akashic Records is fascinating. At the end of the book, she added an Addendum that ties in some concepts of quantum physics to reincarnation. I asked Lois’ permission to post it here. This is for those of you who “get” it! Reality is too complex to be trapped by a measurement, according to Dr. Deepak Chopra. In my opinion this pervasive yet foolish notion is the trouble with empiricism; the idea that the truth of what is real can be determined by a set of rules created by humans. This misconception keeps us from living in the real world. Empiricism, the currently accepted scientific method, relies almost solely upon measurement. But reality is just not that simple—as Chopra has said. Human beings are in no position to dictate what features “reality.” Reality is whatever it is. Our notion of how to determine what is real and true—that is what must change. It must change in order to embrace what reality is, not what we think it should be. We now know due to advances in quantum physics and mechanics over the last century that our physical universe is far more complicated than was previously believed. These advances convince many that we humans are on the edge of proving that each of us has a consciousness which transcends physical form. Or perhaps we are about to discover there is a supreme consciousness which transcends and underlies all reality, and we are part of that consciousness. Once that is firmly established and understood by a critical mass of us everything will change. A piece of that change will be that it will be finally clear to even the greatest skeptics that past lives are clearly likely within the infinite field of possibilities in which we exist. Indeed, the odds are great that the proof of most of what we refer to as psychic phenomena flows from that conclusion about transcendent consciousness. I have long held that consciousness is all there is. Consciousness creates everything out of the infinite waves of probability floating somewhere in the unmanifest field. I first learned about the famous “double-slit experiment” back in the 1980s–the experimenters’ conclusion was that light could behave as either a particle or a wave. Which light “decided” to be was completely dependent upon its being measured. Until it was measured or observed, it was neither a particle nor a wave, just a possibility. This decision light was making was referred to as the “observer effect.” Back then the scientific measurement was considered the important event or deciding factor. I am relieved to report that in the ensuing thirty years more experiments have been done. It is now known that not only light, but electrons behave the same way in this experiment. Electrons are bits of matter. With further experimentation it has been found that molecules and atoms behave like waves of probability as well. This means that particles of matter do not decide when, where and how they are going to show up in the physical world until they also are observed. They do not exist as anything but a probability until a consciousness interacts with them. Observation being so important, perhaps it needs to be defined. Observation and measurement are the same thing. Measurement requires some kind of measuring device or tool. One very important distinction about the measuring device is that it includes the physicality of the human being doing the observing. The eyes, the retina on which images are registered, the optic nerve which carries that image to the brain, the physical and chemical components of the brain—all these are as much bits of the measuring instrument as any metal, glass, plastic or wooden objects that might be used for measuring purposes. If the brain is simply an instrument, then who or what is doing the observing? It must be something outside or apart from the brain. Clearly, it has to be the consciousness since that is all that is left. In other words, when observation is broken down to its core component all that is left is consciousness—or awareness. In the end, all there is left to do the observing, and hence the creating of reality, is consciousness. Studies have shown that something interesting happens when we decide to take an action like picking up a writing tool, for example. The hand moves in the direction of the tool a fraction of a second before the changes in the brain which signal that a decision has been made have occurred. Yes, the hand moves before the brain thinks about picking up the tool. Clearly the hand, and doubtless other parts of the body, can receive signals from consciousness as well or better than the brain. The brain is therefore not where the decision is made. The brain is merely a receiver. The mind, or consciousness, is where the decision is made. Quantum physicist Nassim Haramein has said that looking for consciousness inside the brain is like looking for the announcer inside the radio. To further support the existence of a separate consciousness it is important to note certain facts. People who have died and been revived almost always report either standing outside of or floating above their own bodies. They can recount accurately what others at the scene were doing or saying after they died. To test this, certain hospitals even place written notes atop upper cabinets in operating rooms so that someone floating on the ceiling can read these notes and report back what was written there if asked later—assuming they return to life. And yes, some people do return to life and report what was written on top of the cabinets. Consider that the people’s brains were still inside their bodies during the time they were outside those same bodies observing themselves and their surroundings. Their consciousness was not, though. Their sense of themselves, the part that observes—the part that sees and hears–was outside the body. It therefore seems clear we are not our bodies, nor our brains. What we are is a deathless consciousness which can leave and re-enter our bodies and still be conscious of what was going on as though the body were not necessary. It follows logically that this consciousness can enter a new body prior to the time of its birth, and leave again at death. So why could we not do that more than once? Why should we assume that this awareness of ourselves cannot or would not enter a new body several times over a long span of time if the conditions were agreeable? Why would we settle for only one lifetime? There is a mounting body of evidence supporting the belief that most of the people on the planet have held for countless thousands of generations. We reincarnate. 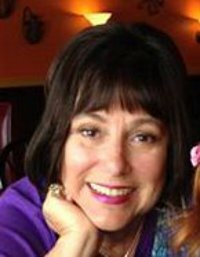 Lois Wetzel is the founder of The Indie Spiritual Book Awards. She is also a master healer and holds many certifications. Her work as an Akashic Records Reader is recognized throughout the globe. Her book, Akashic Records:Case Studies of Past Lives, is fascinating. Check it out! In this riveting book the past lives of over thirty different people, covering scores of different lifetimes, are stunningly narrated. These lives span the course of several hundreds of thousands of years on Earth, and allow the reader glimpses into long-lost civilizations of which we have no historical record. These lives are recounted so that the reader can learn and grow from the experiences of others. But why even learn about our past lives? Is it not enough to just keep up with this one? Here is why. It behooves us to learn who we really are. All the lifetimes we have add to the sum total of who we truly are, and why we do the things we do. What is the source of that phobia, or your instant love or hatred for that person you just met? Exactly why were you “born this way?” What are your hidden talents? Are you fascinated with Samurai swords or baking pastries for a reason? Do you cringe at the thought of visiting a certain location but don’t know why? Just learning about these forgotten memories has a healing effect on us; body mind and soul. Readers of this book report that hearing about other people’s past lives can heal us as well! This book also explains how several of Lois’ clients originally came from different star systems and became a part of the reincarnation cycle on Earth. Some of the past lives reviewed occurred in the context of a BodyTalk, Psych-K or EDINA energy medicine session, but most are formal Akashic Records readings. In the formal readings, from four to six past lives are covered for each individual, along with the reasons for knowing about that past life. The clients repeatedly observe that the readings explain a plethora of things about themselves or their relationships which they had always found puzzling, and about which the reader and author had no inkling. The loving presence of the Guardians of the Akashic Records is felt throughout the pages of the book. The changes that occurred in the clients’ lives as a result of having the readings are also noted. Past life readings have within them the inherent possibility to heal the client not only at a Soul level, but the individual personality who is getting the reading – emotionally, physically and spiritually. They do not simply impact the current lifetime, but other lives as well – past, present parallel lives and future lives. I am finishing up this series on past lives with a segment from my personal journal. Past Life therapy can be achieved in several ways. Hypnotherapists offer past-life regression sessions where clients explore their hidden memories. Akashic Records readers access a spiritual dimension where personal histories are maintained under the supervision of the Guardians of the Records. (See articles on Akashic Records). Lately, I’ve been developing the practice of accessing my own Akashic Records, per the book Akashic Records by Ernesto Ortiz. Some of my sessions have felt more successful than others. Specific questions need to be addressed when entering the Akashic Records. In this case I asked about a particular life-long relationship. I’ve come to realize that my emotional responses to this person have not necessarily made “sense,” based on the personal history of our acquaintance. So I went through the steps to enter the records and asked: What is the source of the confusing emotions I have toward this person? Eyes closed, I am traveling through a tunnel. I move quickly past people and places. A scene comes into focus. 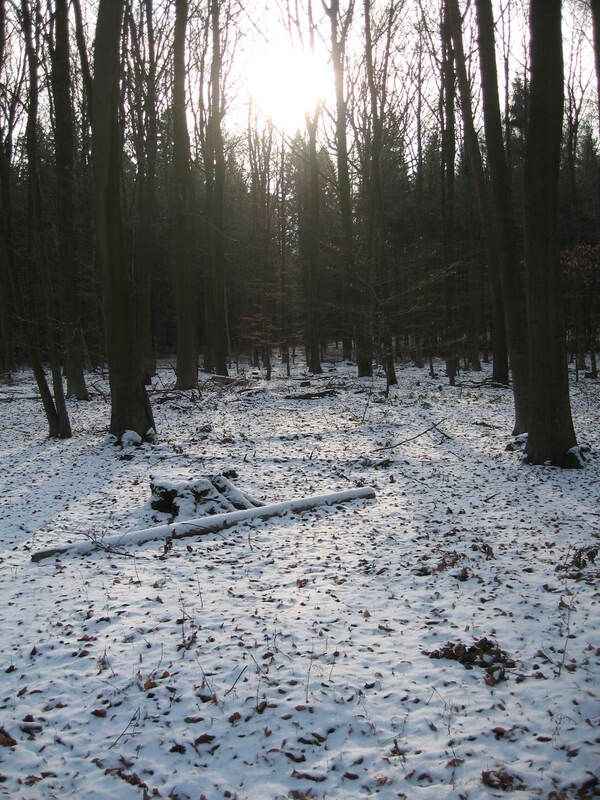 I am with him wandering through cold, snowy woods. Leafless trees all around. Everything is grey and white. We’re dressed in layers of raggedy clothes, fingers exposed above the wrapping of cloth. We’re trying to get away from danger. We walk over logs and debris, directionless, just getting away. I’m hungry and tired, in shock. Home and family destroyed in the village behind us to war. We are somewhere in Eastern Europe. We are teenagers, perhaps brother and sister. I’m not sure. We are close. I am immature in my thinking. It’s all seems unfair. I’m miserable and have only one target to blame at the moment and it is him. He should be keeping me warm, finding food, making us safe. We drag along and I resent him more with each step. We come to the end of the forest. There is an open field. Dry, barren ground with a crust of frozen ice. As I step forward, a shot rings out. A sharp pain explodes in my chest. I am on the ground. I see his face clearly–high cheekbones over a cleft chin. I feel betrayed, like I shouldn’t have trusted him. I die blaming him. I have bitterness and a belief that I couldn’t count on him. The lessons from the Akashic Guides flow in. He felt terrible watching me die. The situation wasn’t his fault. It was a lesson on the foolishness of war. That lifetime gave me empathy for people in war torn places. We both need to release the residue of that life. I set him free from the guilt. After I close the records and open my eyes, the residual pain from the gun shot in my chest continues for nearly half an hour. These glimpses of other times and other people are fascinating to experience. I am at once the observer and the observed. I occupy a different body, looking down seeing hands and feet that belong to someone else. I can identify with the personality, but it is no longer “me.” In the above scenario, the girl dies with a lasting impression of distrust and feeling she “can’t count on” her friend. 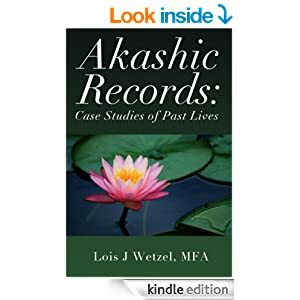 In Lois Wetzel’s fascinating book, Akashic Records: Case Studies of Past Lives, she illustrates many times that the last dying impression from a life can leave a “hangover” effect, coloring subsequent lives and relationships, thus creating a karmic tie that must be faced. An excursion to the Akashic Records or other means of past life therapy can illuminate many of life’s mysteries, including relationships, medical conditions, phobias, talents, obsessions, and more. In the best cases, the revealed knowledge can be liberating and healing.